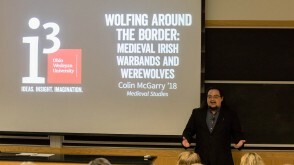 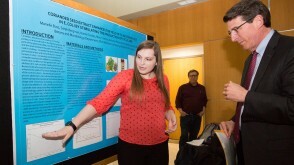 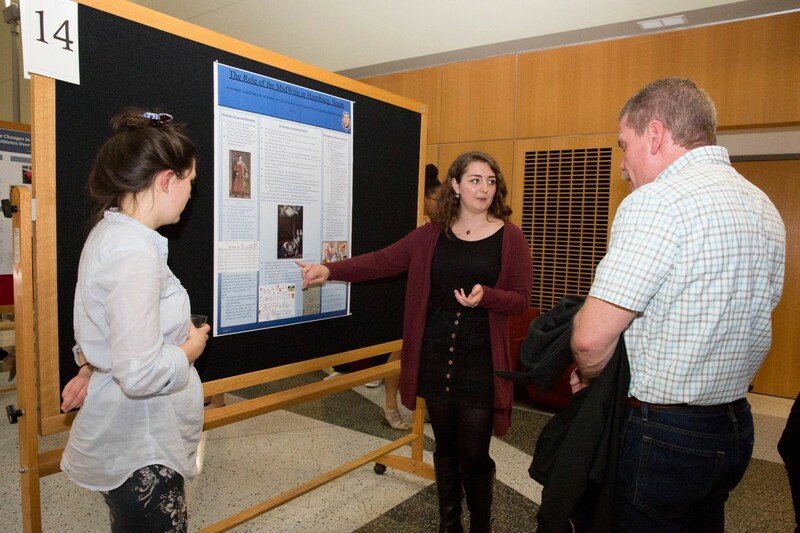 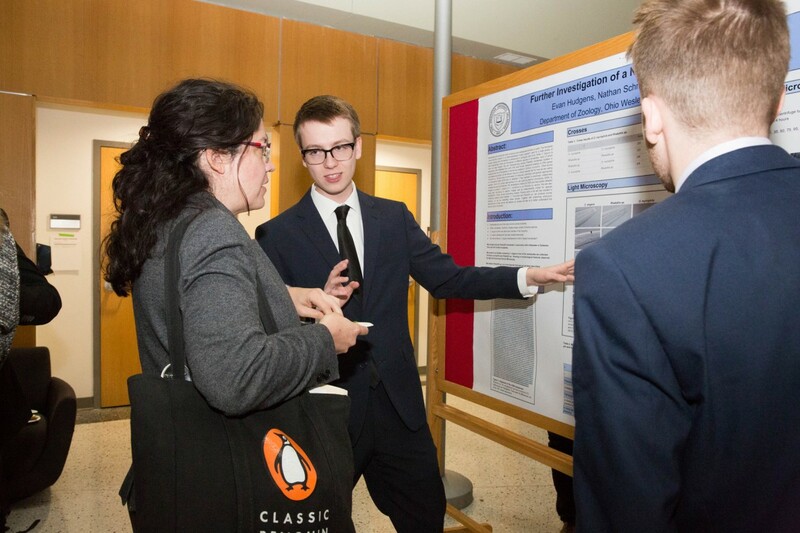 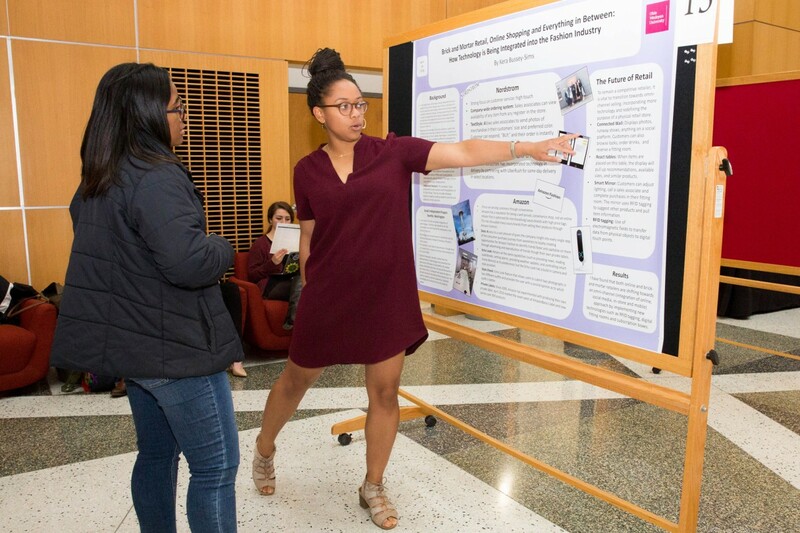 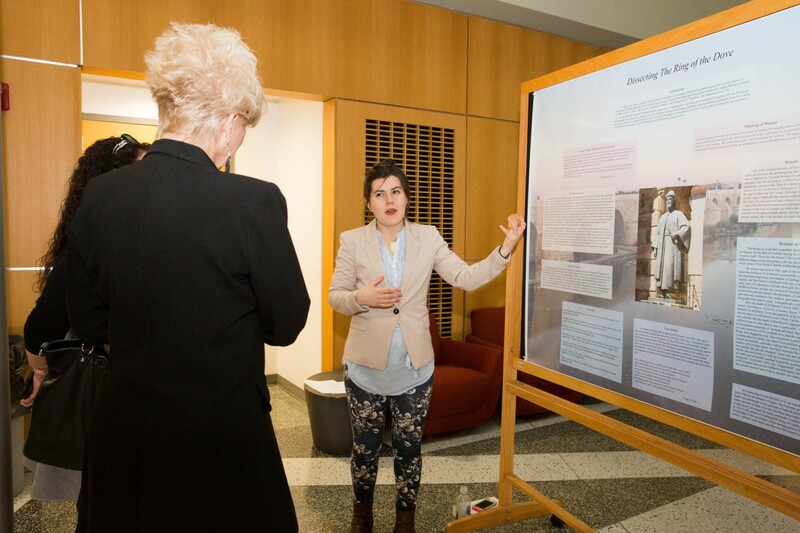 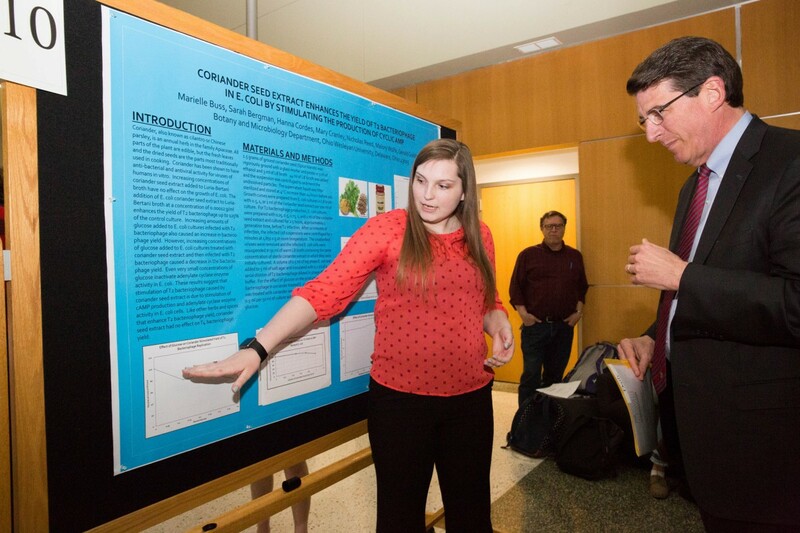 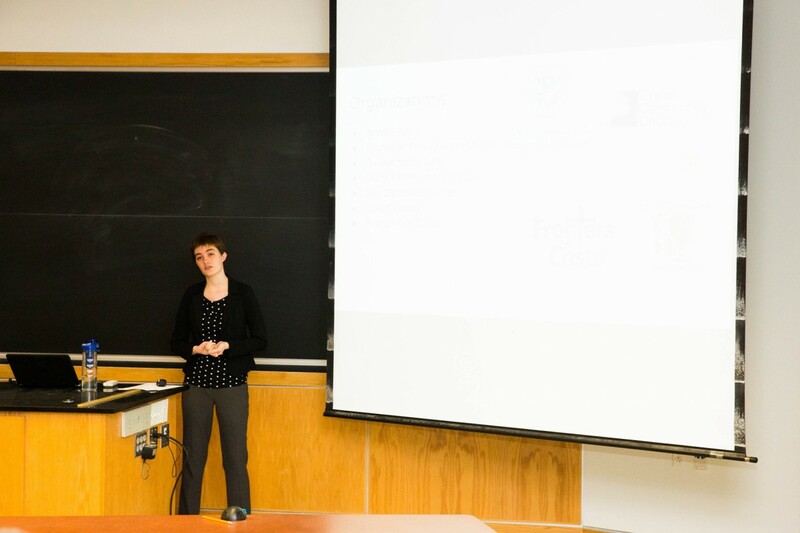 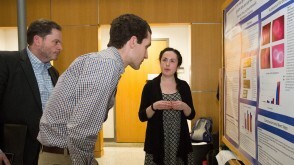 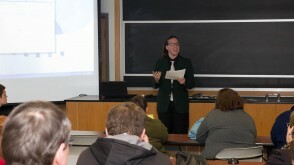 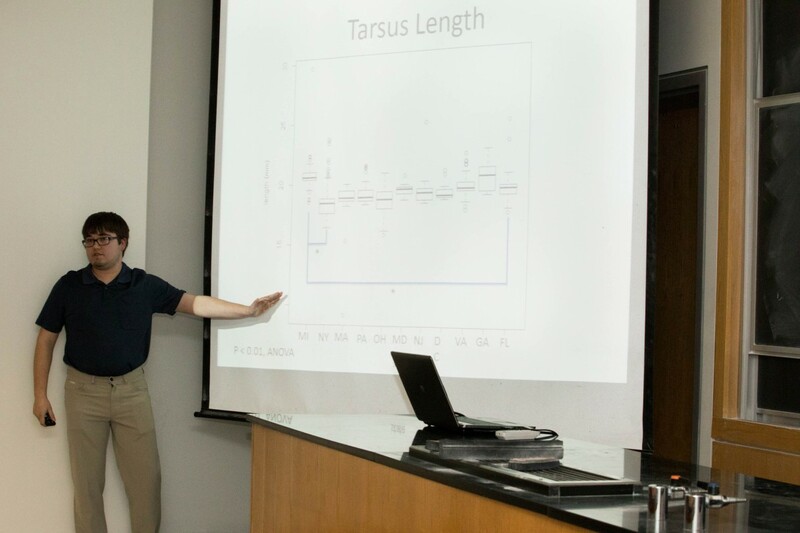 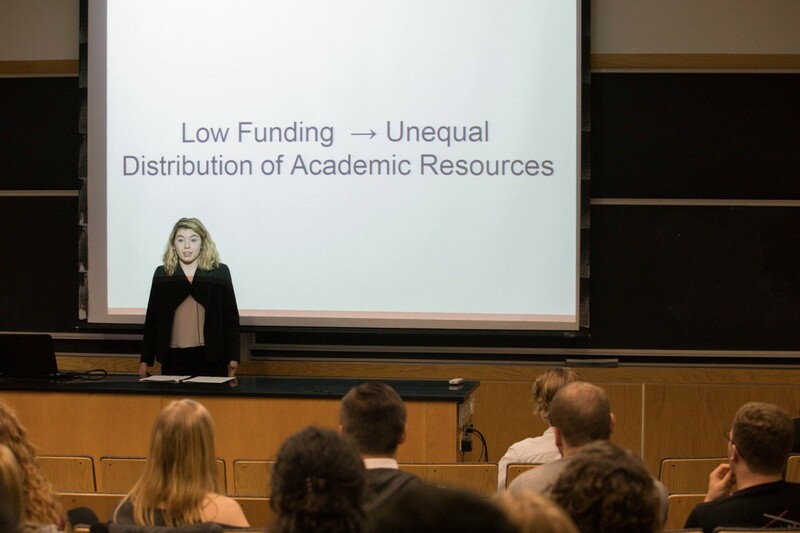 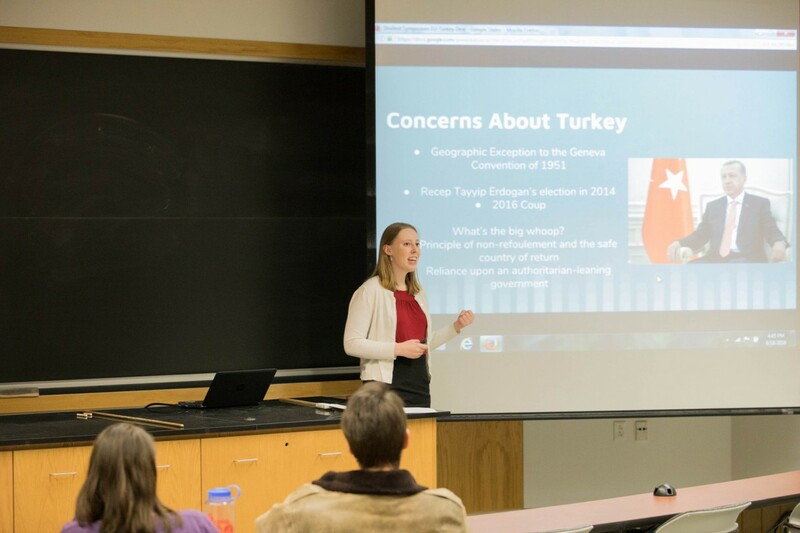 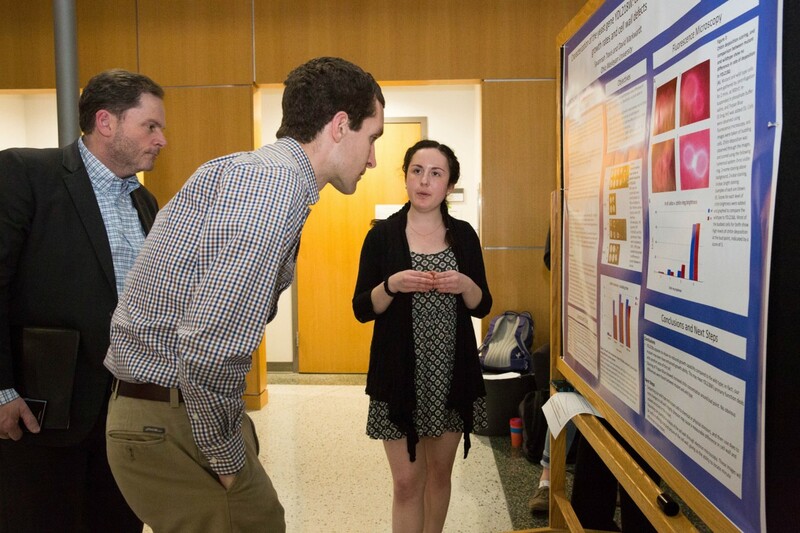 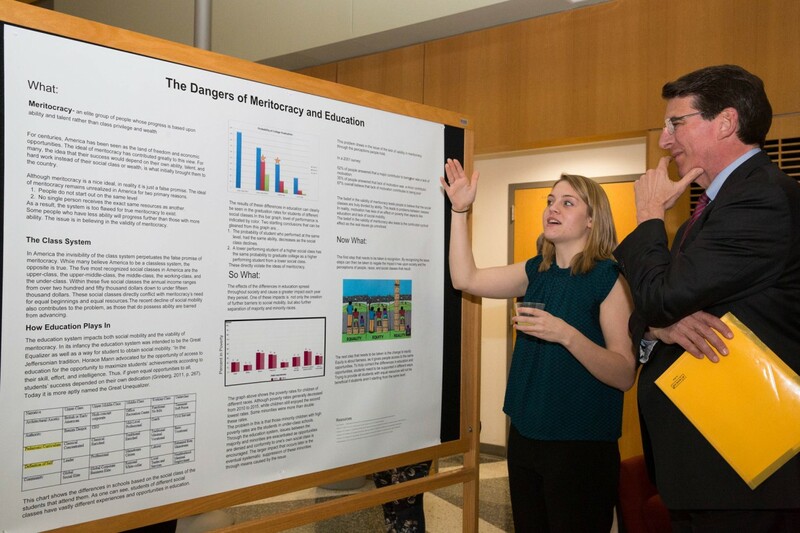 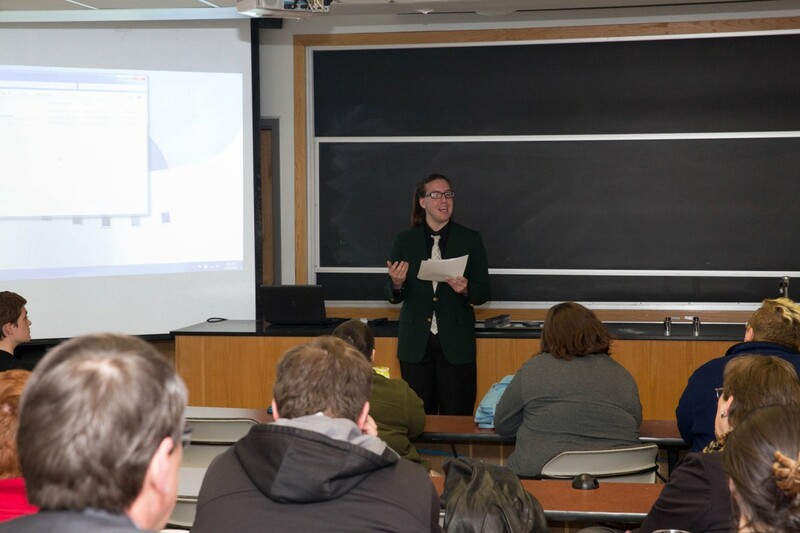 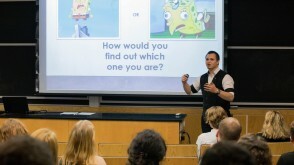 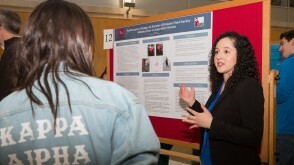 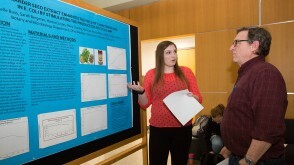 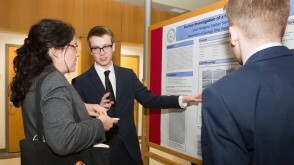 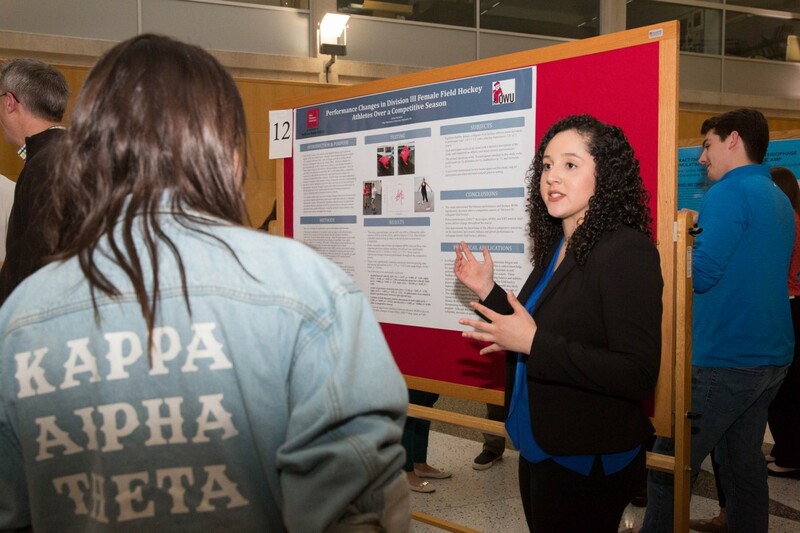 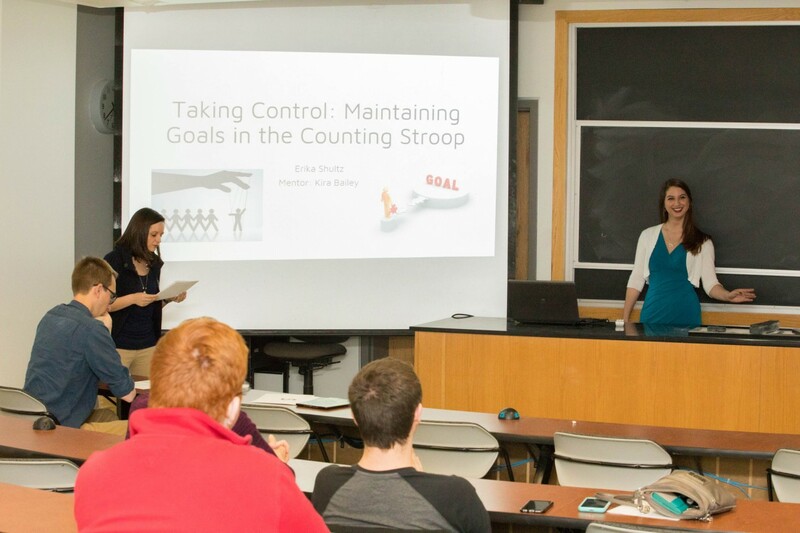 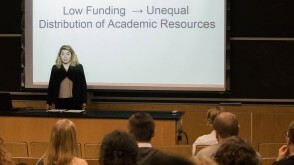 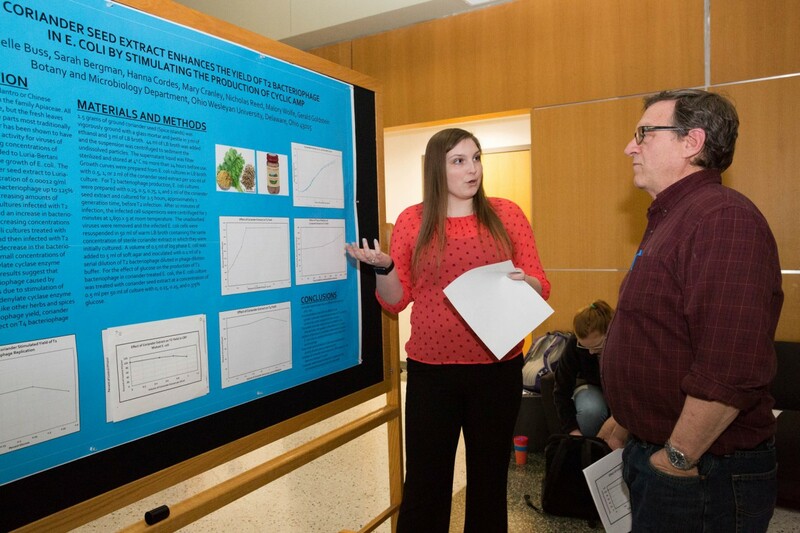 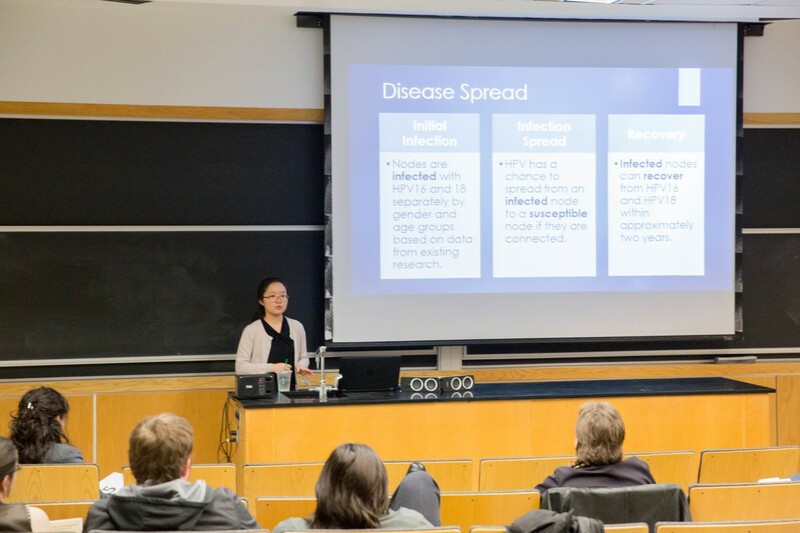 The spring Student Symposium showcases the research and creative work of Ohio Wesleyan students across the academic spectrum. 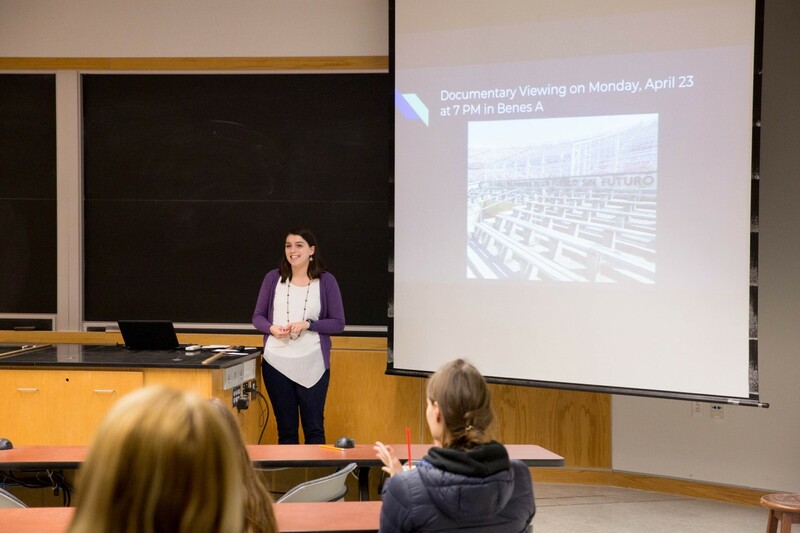 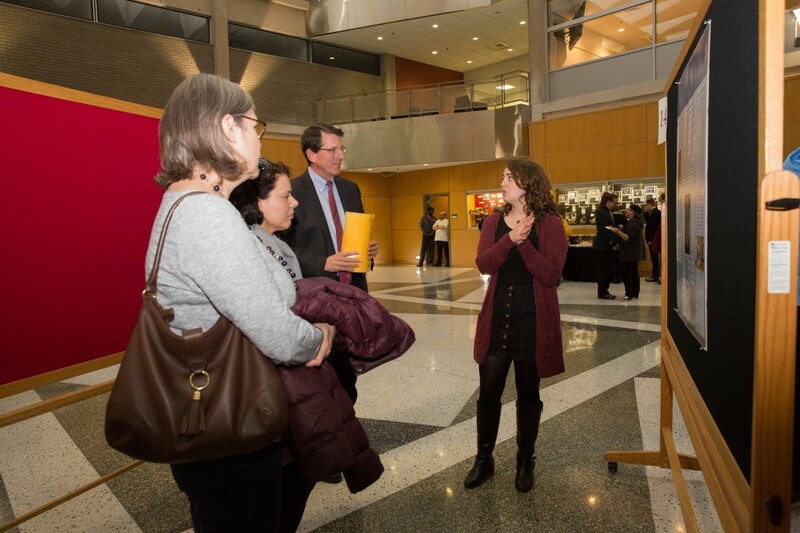 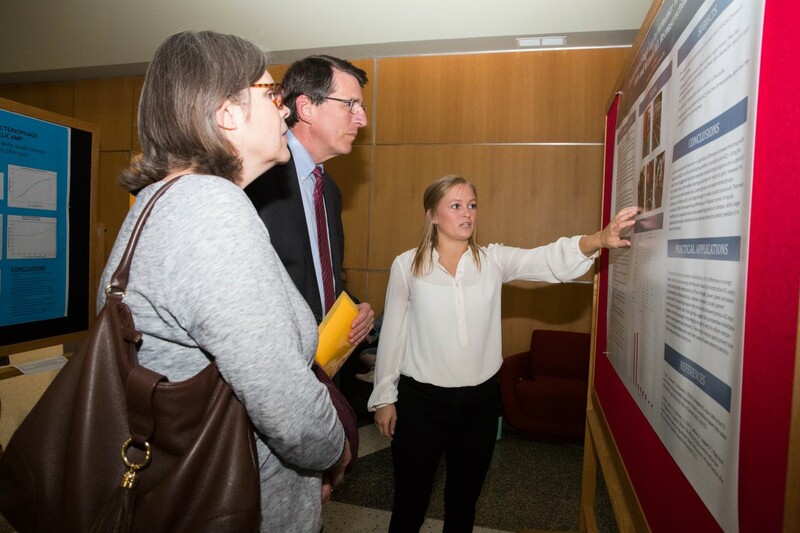 The Symposium provides an opportunity for students to share their work with the OWU community and enter a dialogue that can spur ideas for new projects. 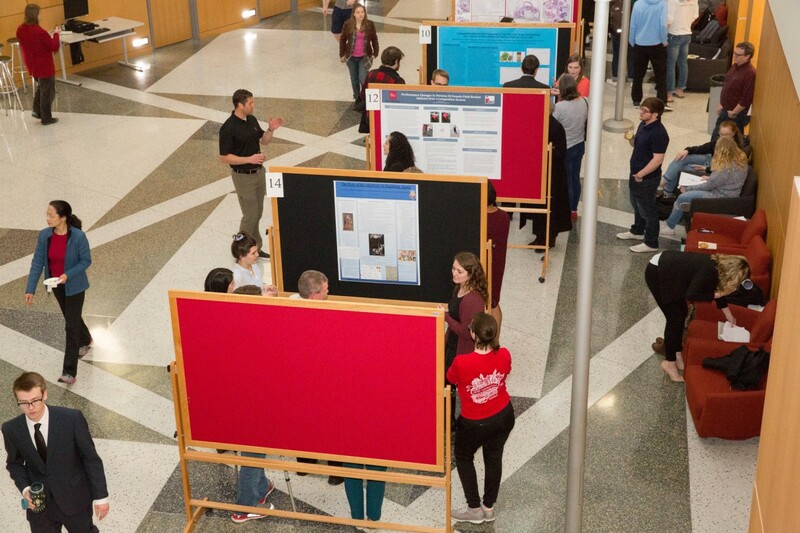 The entire campus is invited to celebrate OWU’s seventh annual Student Symposium, featuring presentations that showcase the research and creative work of Ohio Wesleyan students through poster presentations, oral presentations, music performances, student-artist talks and more. 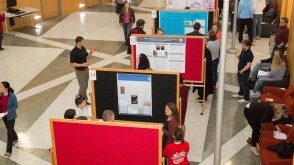 Come to the Schimmel/Conrades Science Center 4:00-7:00 p.m. April 25. 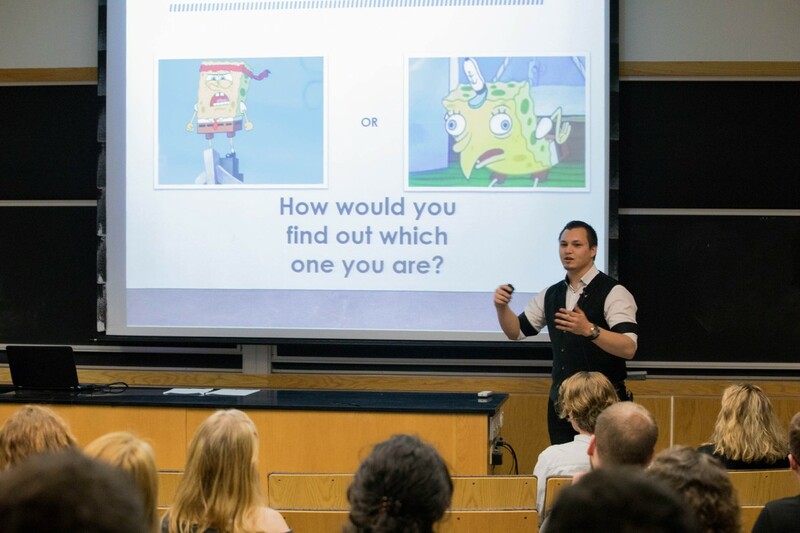 And this year, see selected students tackle OWU's i³ challenge, delivering 3-minute presentations with ideas, insight, and imagination. 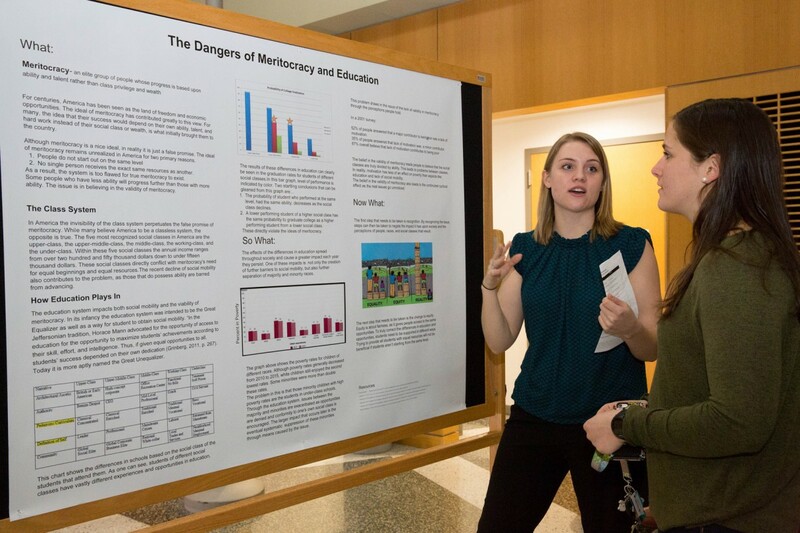 Don't miss this unique event noon-1:00 p.m., April 25, in Merrick 301. 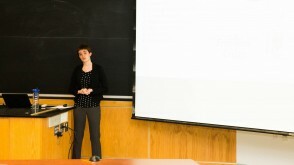 Special i³ lunches will be available to students. 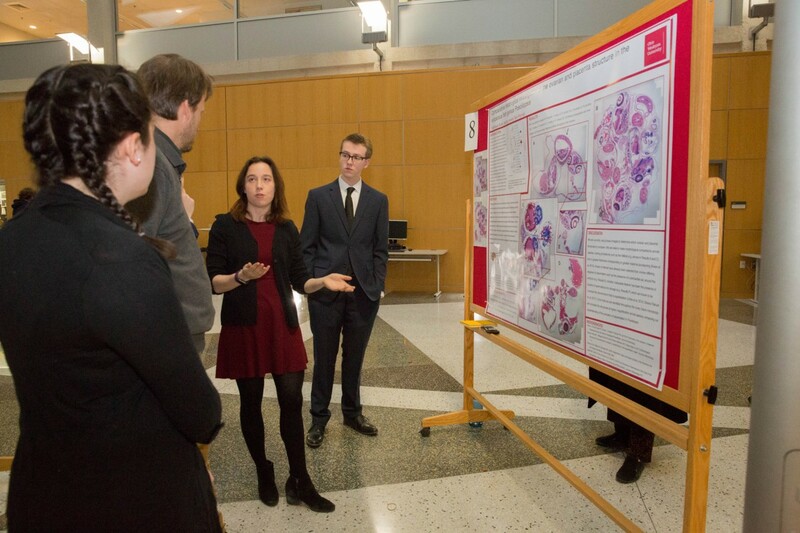 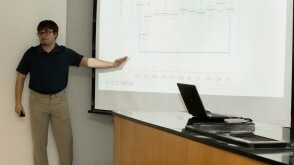 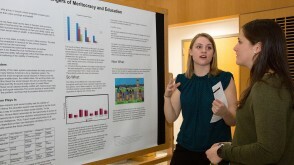 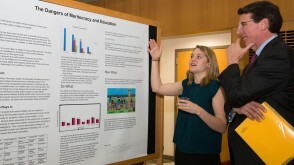 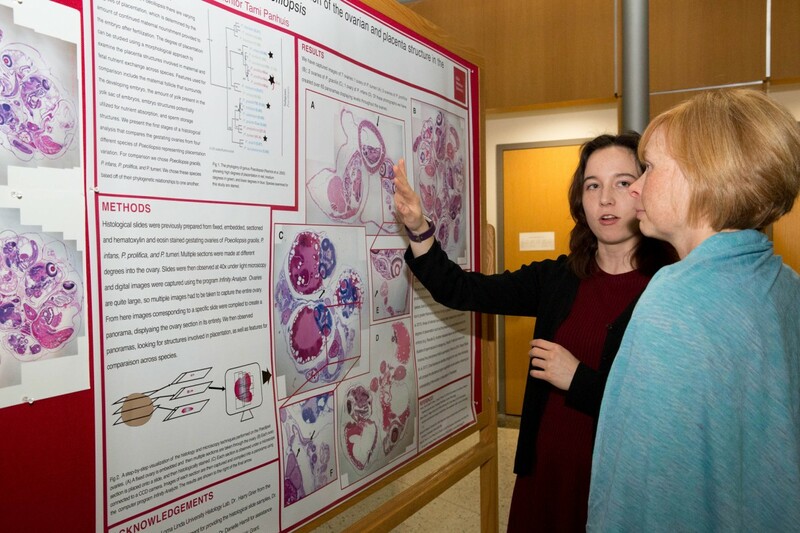 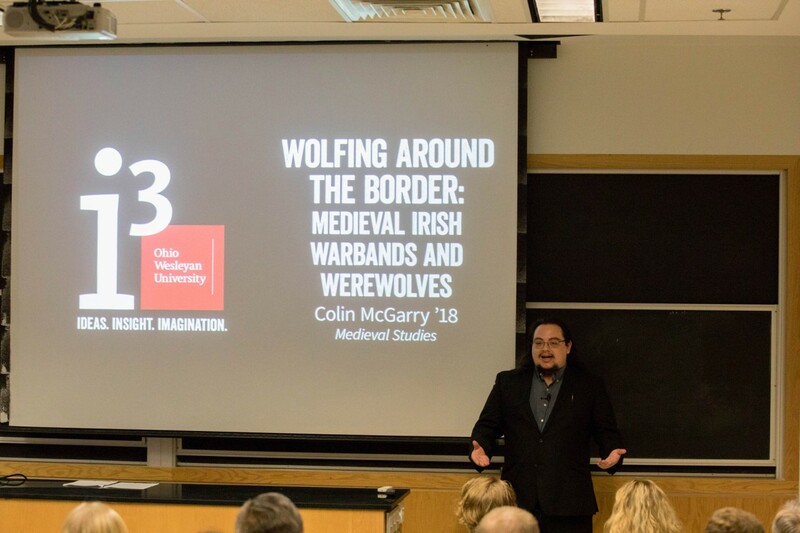 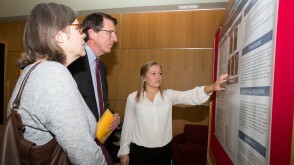 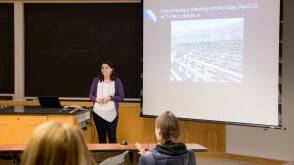 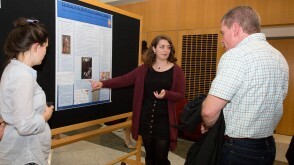 Undergraduate research, performed under the mentorship of expert faculty, is a central component of The OWU Connection. 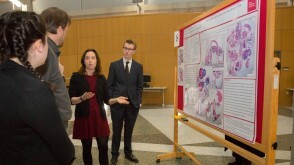 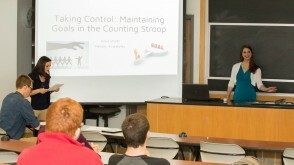 And the annual Student Symposium shows the breadth, innovation, and quality of work produced by Ohio Wesleyan students. 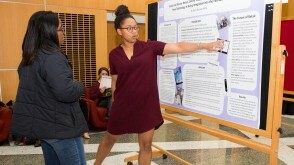 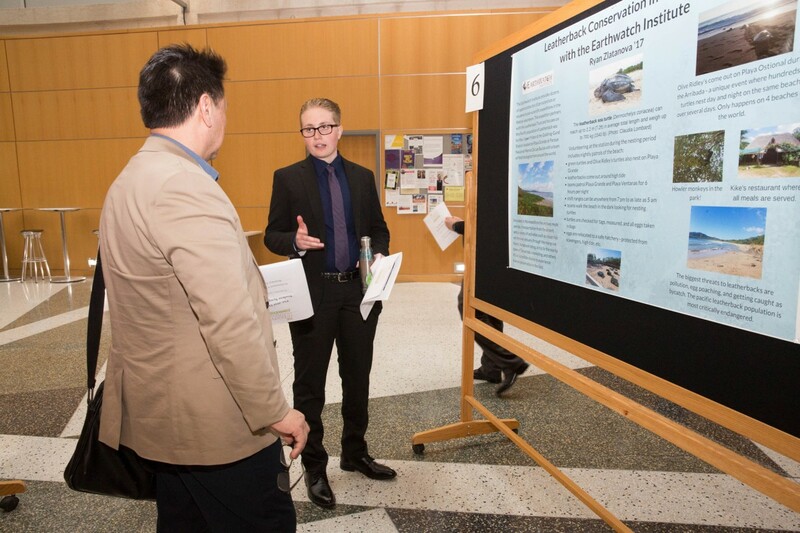 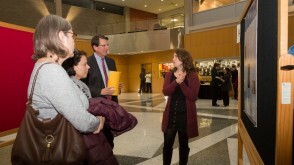 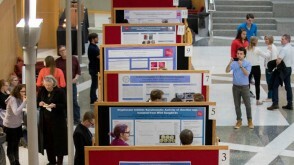 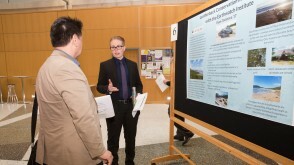 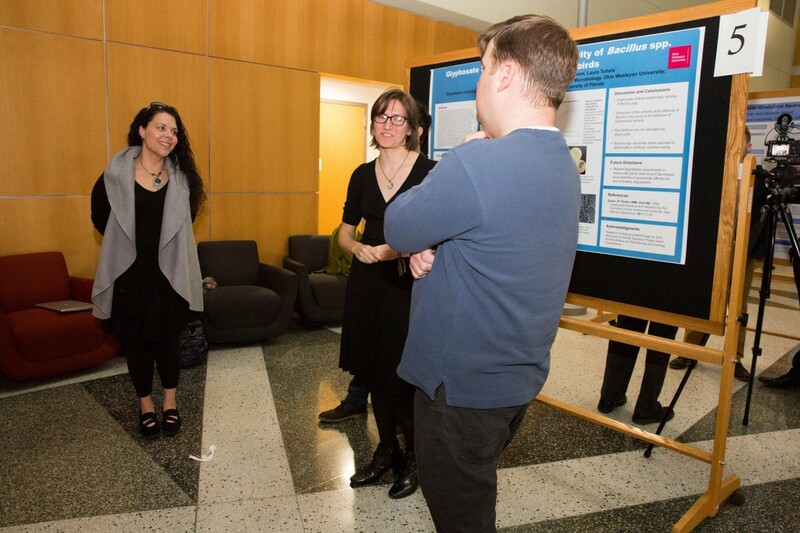 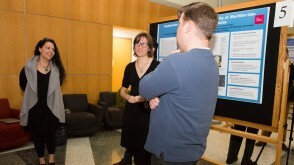 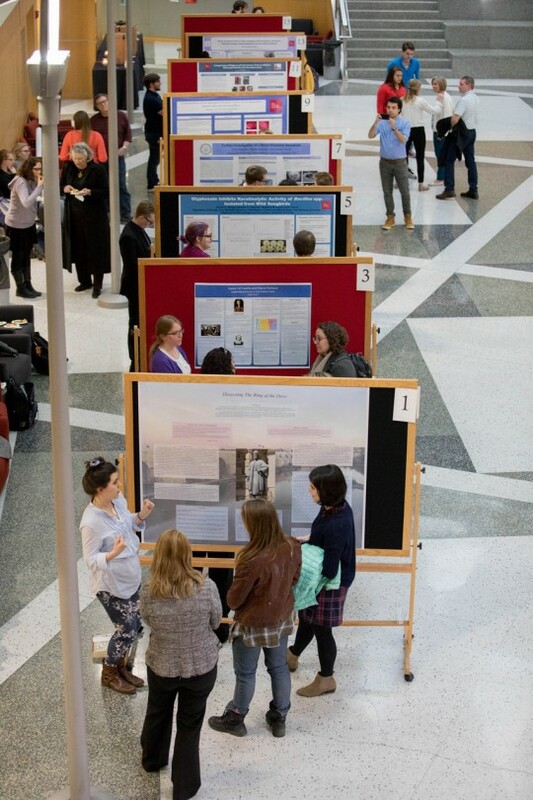 The Symposium includes a poster session, selected research presentations, and performances of substantial work by individual or groups of students. 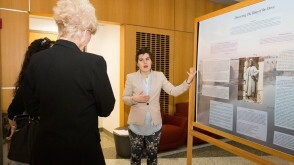 Visit the Digital Commons @ OWU website for more information.